Nature offers all sorts of wonderful materials to use when you want to make crafts. If you look around on a nature walk you will see lots of plants, animals, shapes and textures to inspire you. This is what happened to Daisy when she was out in her garden. 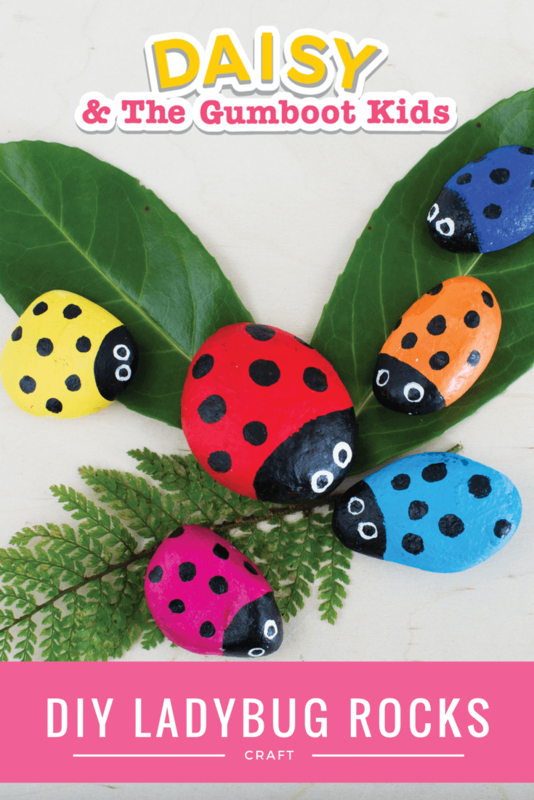 A lady bug inspired her to use a pebble she found to make a LADYBUG ROCK. 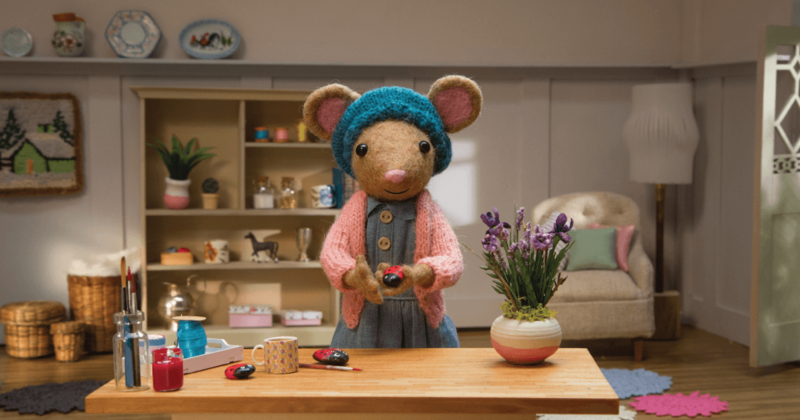 If you are in Australia click here to watch Scout & The Gumboot Kids. If you are in the United States, check us out on curiousworld.com or kidstream.tv on Xfinity or Amazon. In South Korea you can watch it on jeitv.com. Kids from around the world click here to listen to Jessie Farrell’s songs. the colour of your wings so vibrant and pretty! Gumboot Kids can listen to Jessie Farrell’s songs here . 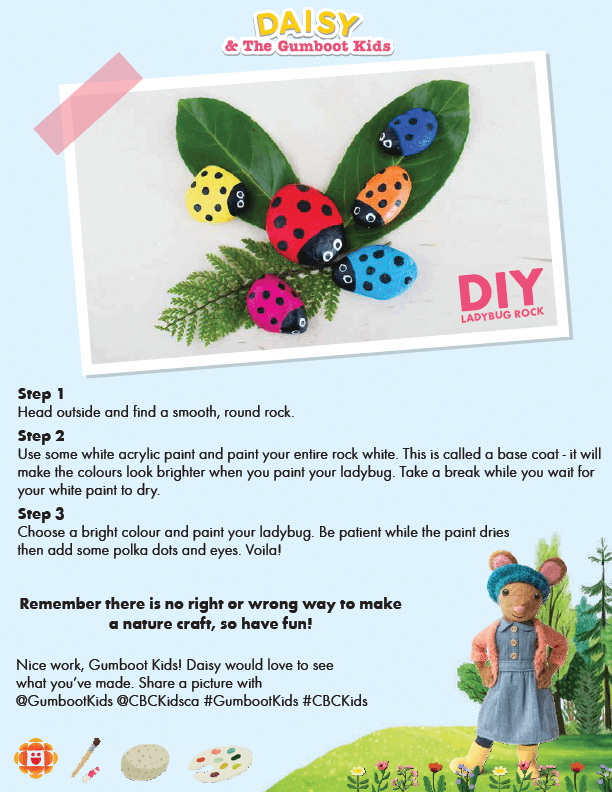 MAKE A LADYBUG ROCK WITH DAISY! Head outside and find a smooth, round rock. Use some white acrylic paint and paint your entire rock white. This is called a base coat — it will make the colours look brighter when you paint your ladybug. Take a break while you wait for your white paint to dry. 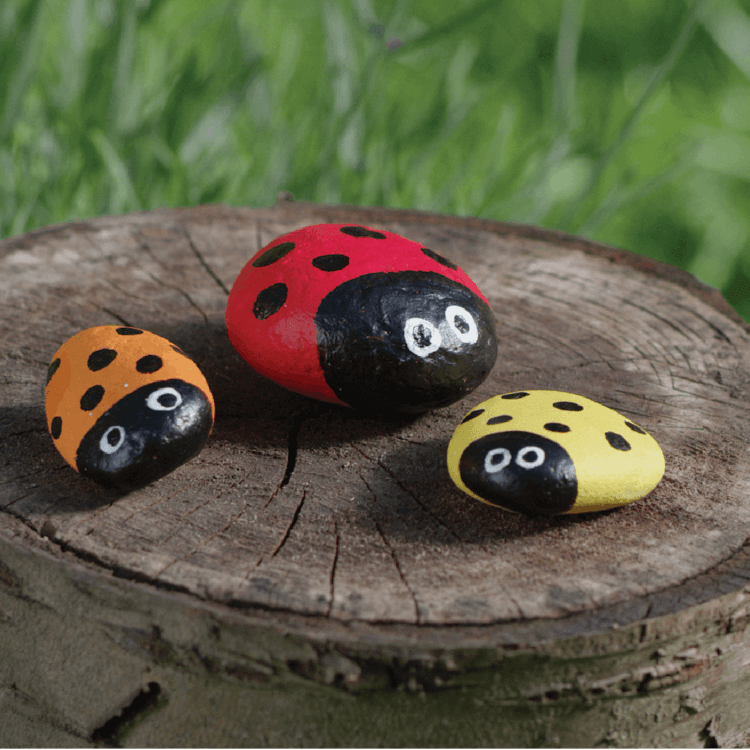 Choose a bright colour and paint your ladybug. Be patient while the paint dries then add some polka dots and eyes. Voilà! 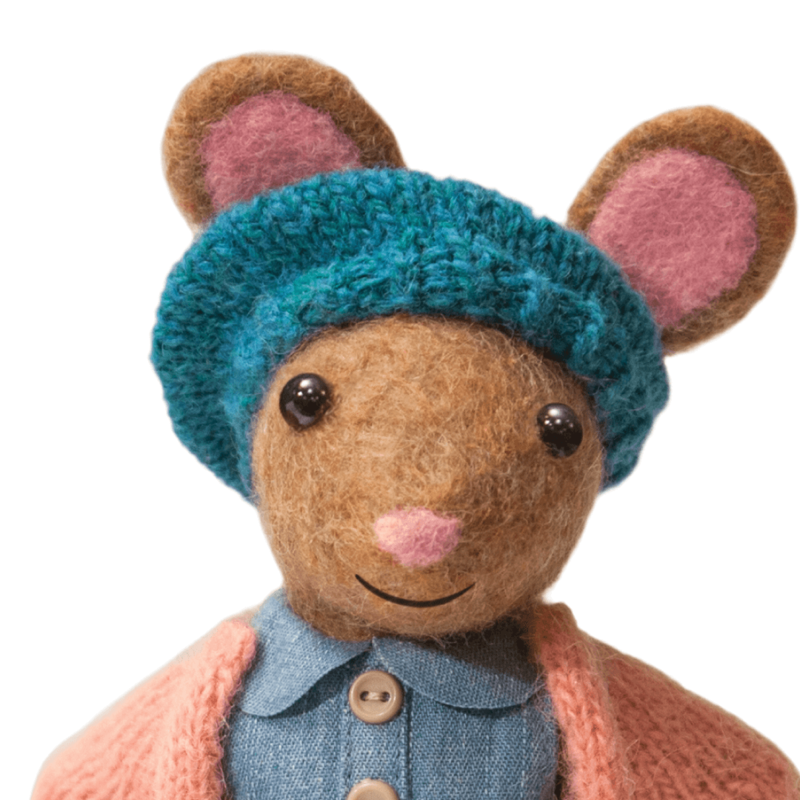 Remember there is no right or wrong way to make a nature craft, so have fun! We would love to see your creations! Post on Facebook or Instagram and tag @gumbootkids. © 2018 Imagine Create Music Inc.